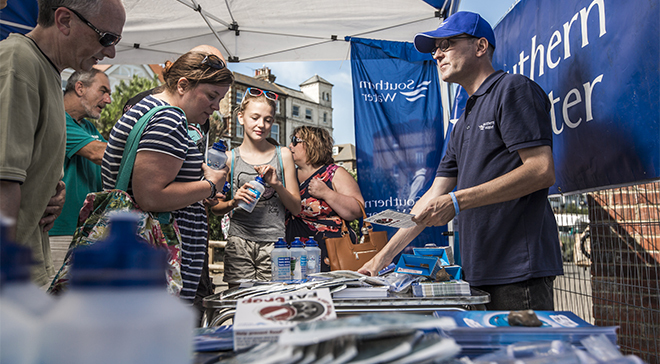 The Southern Water Roadshow team attends community events across our region throughout the year. We aim to meet as many of our customers as possible to offer advice and free giveaways to help you save water and prevent fat, oil and grease from blocking the pipes. We’d love to meet you to tell you more about our company and what we’re doing to make the most of your water.